In stock -This product will ship today if ordered within the next 6 hours and 23 minutes. 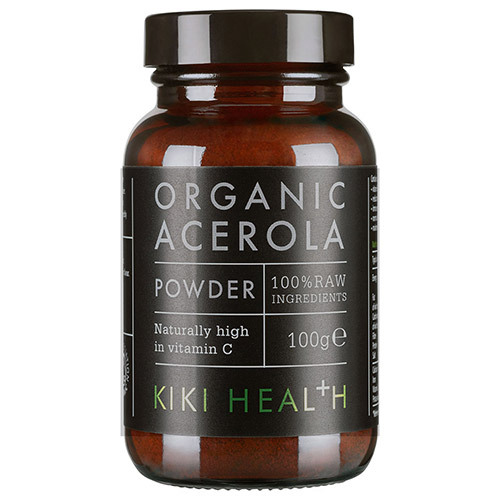 KIKI Health use 100% organic acerola cherries that are freeze-dried at low temperatures to preserve the delicate enzymes and nutrients to create this concentrated and nutritionally dense acerola powder. Acerola cherries are extremely high in vitamin C content, providing one of the best food sources of vitamin C in the world; 40 times higher than an orange. 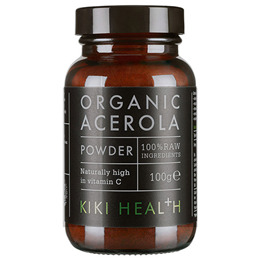 KIKI`s Organic Acerola Powder is incredibly potent and contains 20% of the full vitamin C complex (per 100g weight). Blend one or more teaspoons of acerola powder into smoothies, juices or yogurt. Add to dessert recipes and energy bars to give a nutritional boost and add a naturally sweet/sour flavour. 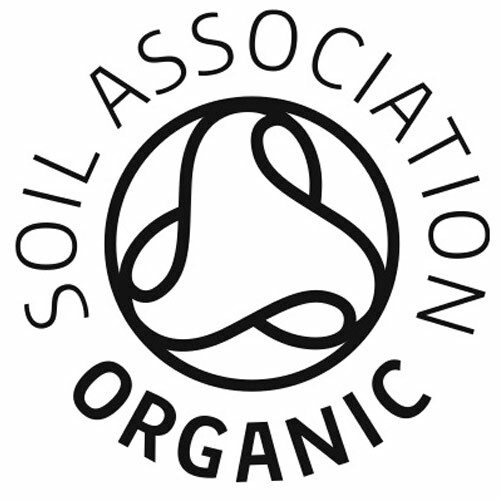 Below are reviews of KIKI Health Organic Acerola Powder - 100g by bodykind customers. If you have tried this product we'd love to hear what you think so please leave a review.